A good rule of thumb is to never turn down an opportunity to participate in an autocross event. 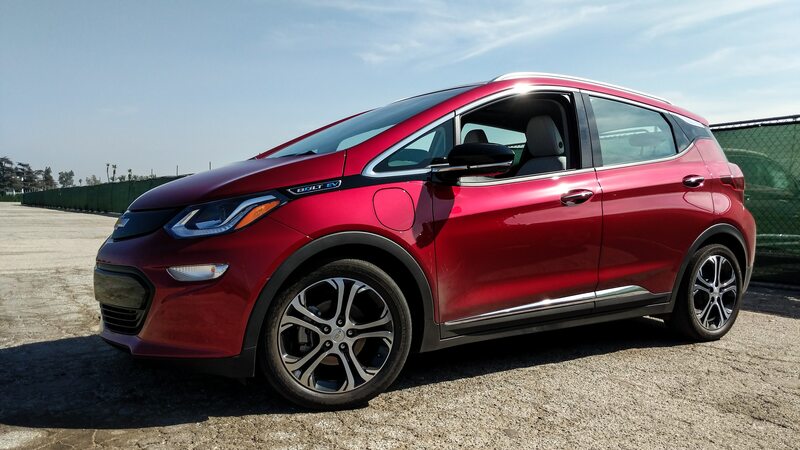 In this case, Chevrolet reached out to us to offer us a chance to hoon their 2019 Bolt EV at the limit not an hour from our El Segundo office. Offer accepted. 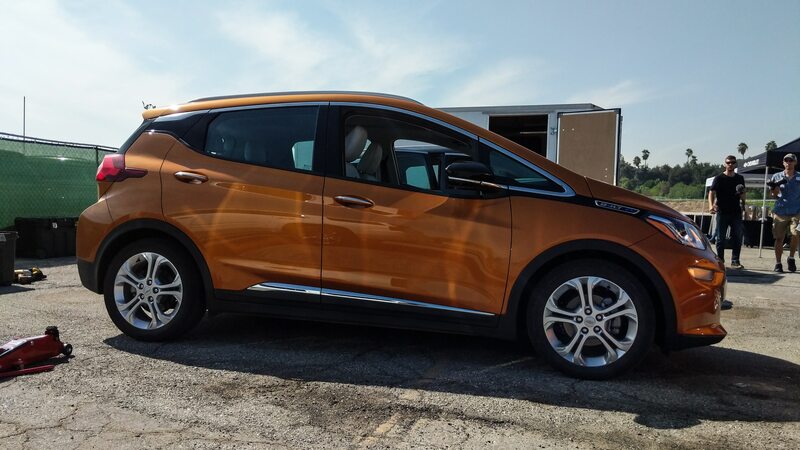 Chevy laid out a cone course in a parking lot just outside of Pasadena to show off the Bolt EV’s performance capabilities. 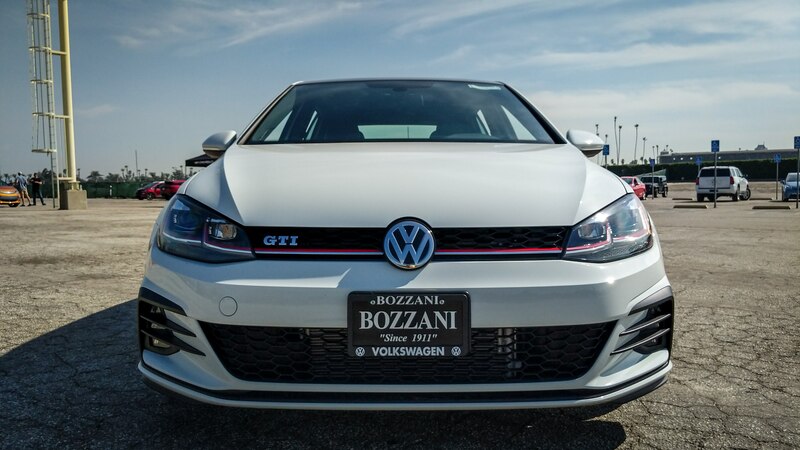 A 2019 Volkswagen GTI was also brought along as a benchmark for the Bolt. 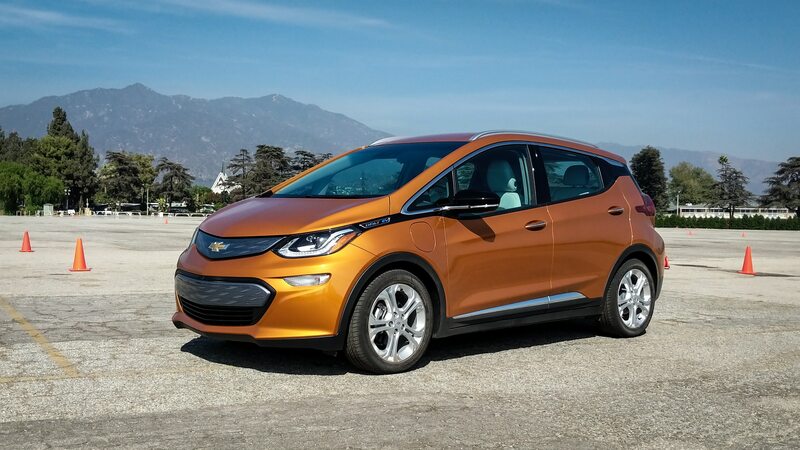 Chevy’s staff never made the claim that one vehicle was better or faster than the other, but merely presented both alongside one another to show that they’re in the same ballpark and playing the same game. I was able to clock some comparable times in both vehicles, and even though we had about two hours to run the course, I felt like I could have extracted a lot of time out of both. Running back-to-back laps between the two hatchbacks yielded some noticeable differences in driving characteristics. 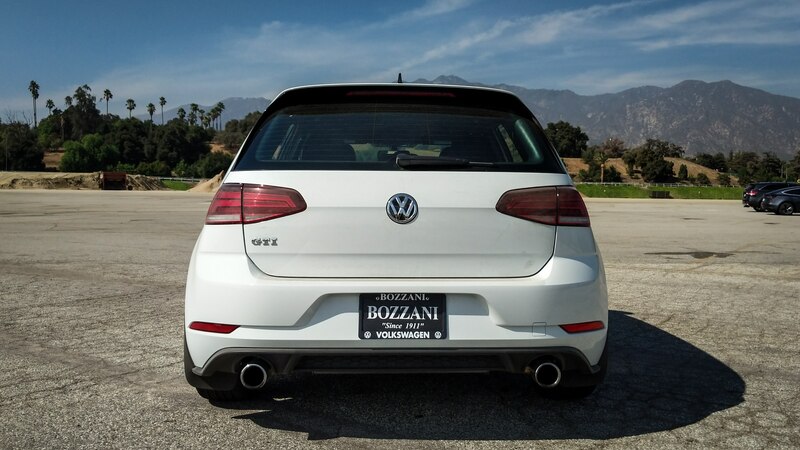 The Bolt EV’s rear torsion beam setup copes well under a ten-tenths blitz, but the GTI’s fully independent suspension proved to be more refined and communicative. 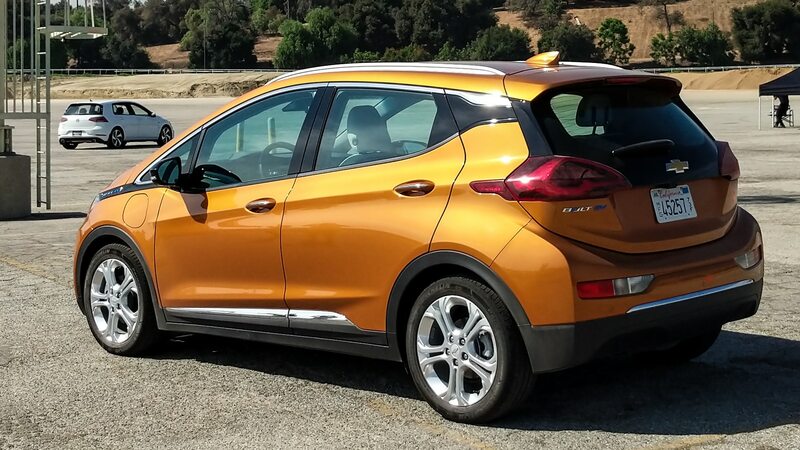 The biggest advantage the Bolt EV has in these performance conditions was the instant torque (a sizeable 266 lb-ft) from the 150 kW permanent magnetic drive motor. 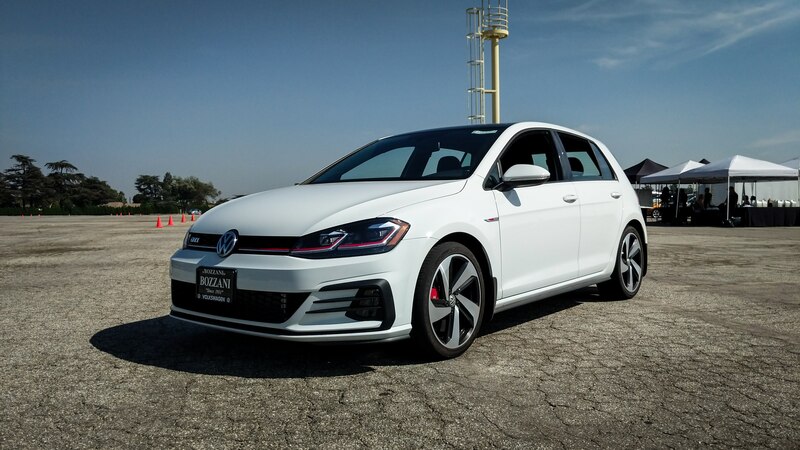 While I kept the GTI in the Sport drive profile and the “S” drivetrain setting, it still wasn’t enough to keep the turbo boost up or the rpm in a place where max torque figure of 258 lb-ft could be attained as soon as I started exiting a corner. 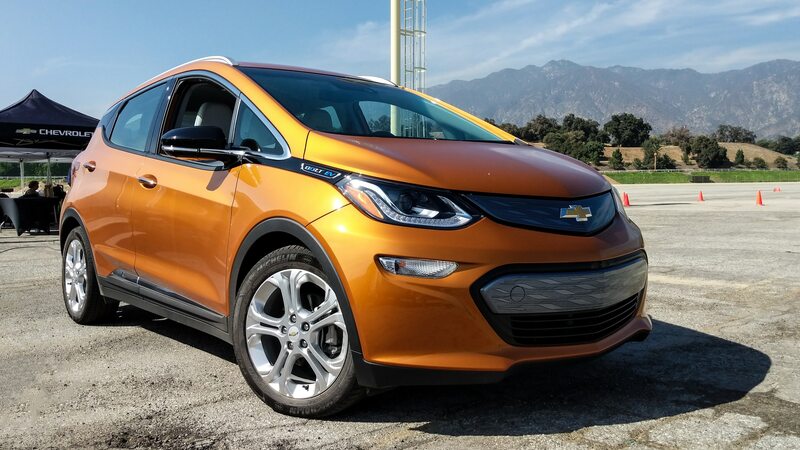 Chevy also equipped a few of the test cars with Michelin Primacy 3 summer tires, which can only be had on the Opel Ampera-e, the badge-engineered Bolt sold in Europe. 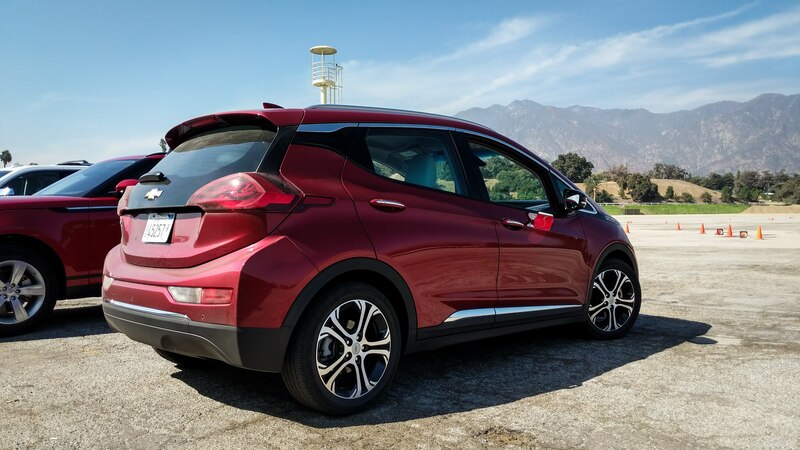 The Bolt EV normally wears low rolling resistance all-season tires as sold in the United States. On these standard tires, the Bolt slid around like a giraffe on ice skates. It was great fun, but not totally confidence inspiring. 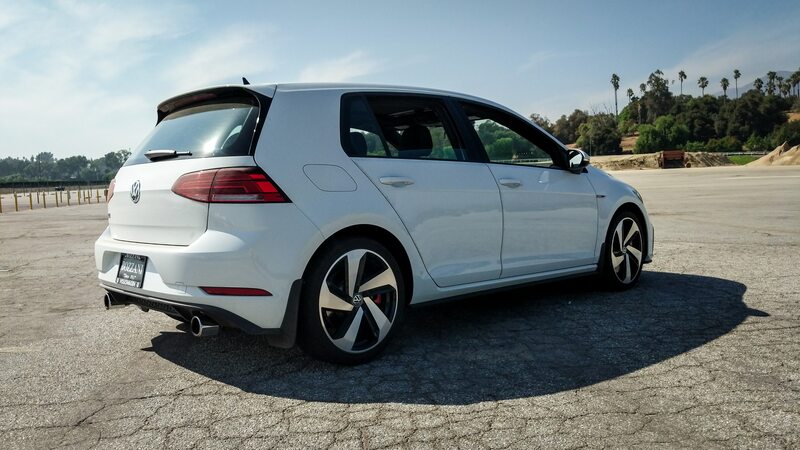 Where there was wheel spin with the all-season tires, the cars Michelin Primacy 3 gripped the pavement with barely a chirp. 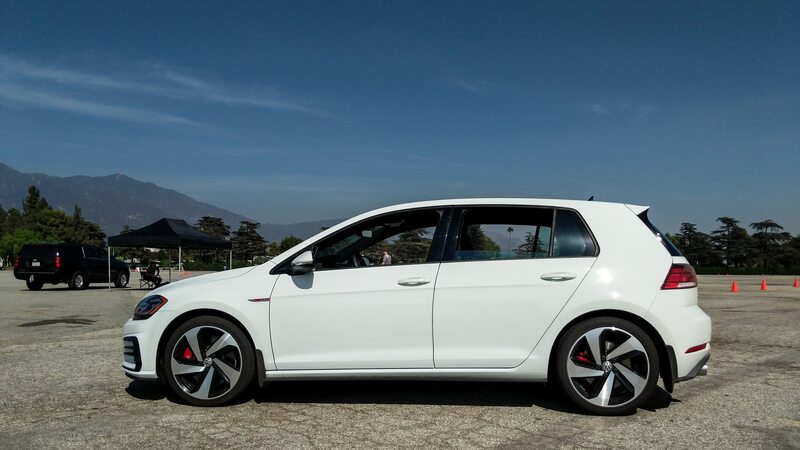 I felt as though I could push harder with the stickier rubber, although I didn’t spend enough time in these cars to best my time in either the GTI or the all-season wearing Bolt. I asked one of Chevy’s engineers about how these tires would impact range, and he said the penalty is fewer than ten miles. Autocrossing the Bolt EV was tire-chirping, wheel-spinning fun. 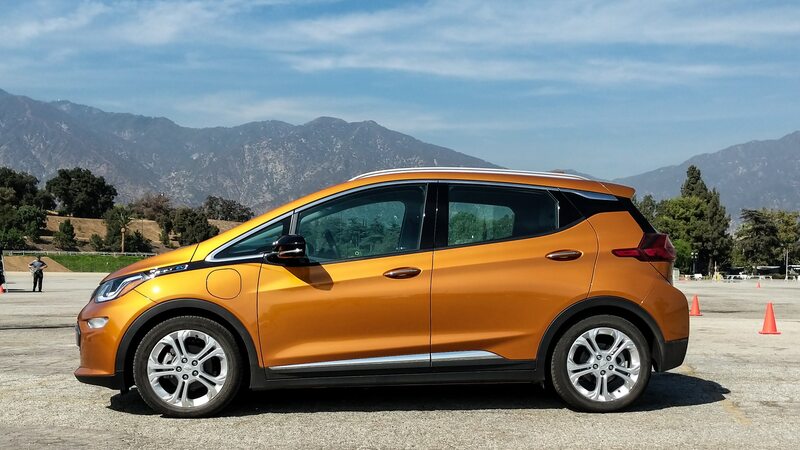 When asked if this exercise could serve as an indication of a future performance model for the Bolt EV, Chevrolet’s folks couldn’t comment on future product but also didn’t rule out the possibility. In any case, the Bow Tie’s electric offering ticks a lot of the right boxes when it comes to enthusiast driving.